Country Hardware is a "Pro Hardware" company that is owned and operated by Doug & Linda Newman. Our friendly and helpful staff will be waiting to help you purchase new products and equipment. We stock a full line of Stihl power tools and their accessories. A new Stihl Concept store display was just completed in November 2007. Come get a hands on version of the Stihl chainsaws, trimmers, blowers and cut-off saws. There are some Stihl products for rent too, so try it before you buy it and let us "WOW" you. We have an excellent repairman on site...most repairs in by Tuesday out by Friday. In need of parts...we have a large selection in stock, or most can be delivered the next day. Some other services we offer are cutting and threading pipe, sharpening chainsaw chains, lawn mower blades and many others too. Need some glass cut, we cut glass, plexi glass and both aluminum and nylon screen. Window and screen repairs are also available. 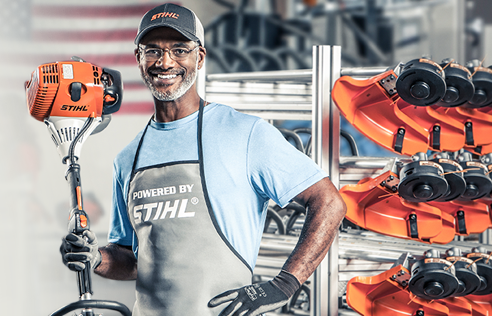 Country Hardware is proud to serve you with the very best in power equipment from Stihl. 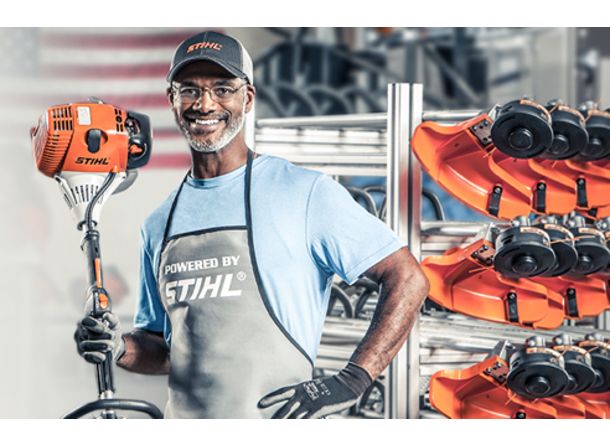 We have been selling and servicing Stihl power equipment for 30 years! We go the extra mile to keep you running with our in by Tuesday out by Friday tune-up policy.